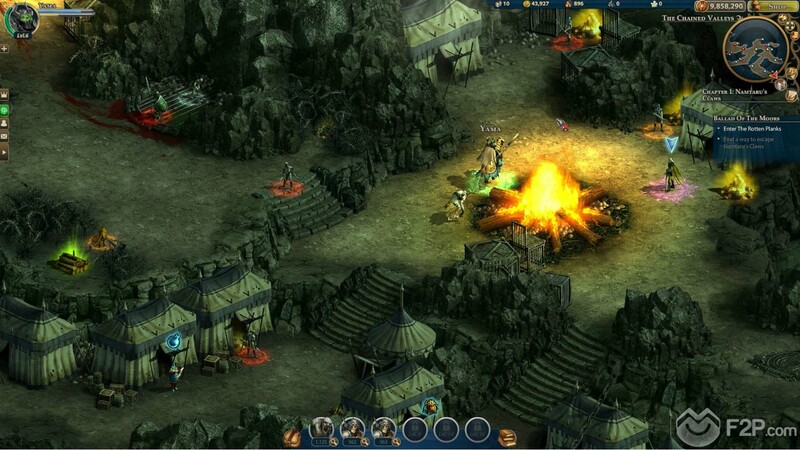 This week checked out Might & Magic Heroes Online, the newest browser-based MMORPG meets tactical combat strategy game from Ubisoft, continuing their popular franchise with this new free to play MMO. 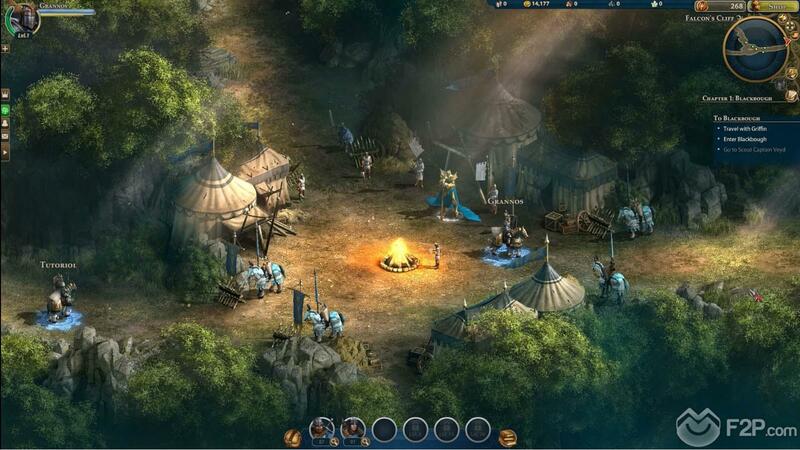 In the game players are responsible for leading their own army in one of two powerful factions as they progress through an epic story of war and conflict. When first stepping into the game players are confronted with a choice of two different factions, key organisations within the Might & Magic franchise: Necropolis or Haven, though with little information initially the choice of faction primarily chooses the main story arc that players will progress down and the types of quests that they receive as well as the Hero that they control, their abilities and the types of units that will make up their army leading to 2 very different play styles. 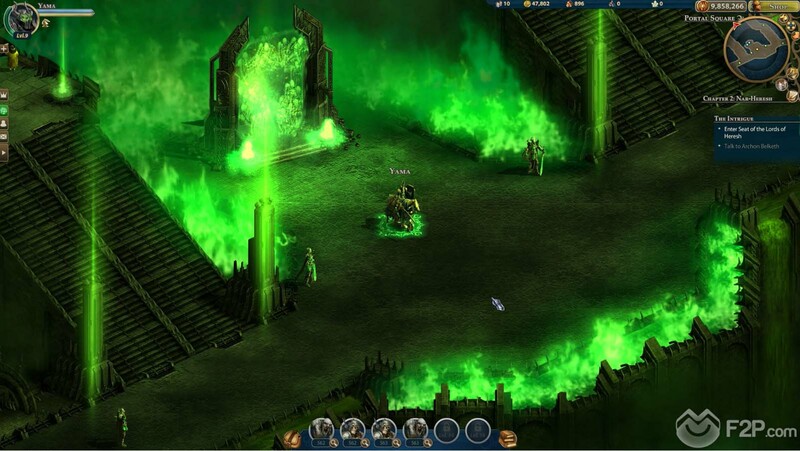 Players are then able to choose the class of their Hero, with two different classes for each; one Might Hero and one Magic Hero, as we had chosen the evil Necropolis faction we had a choice between the Death Knight or the Necromancer, and we chose the latter. 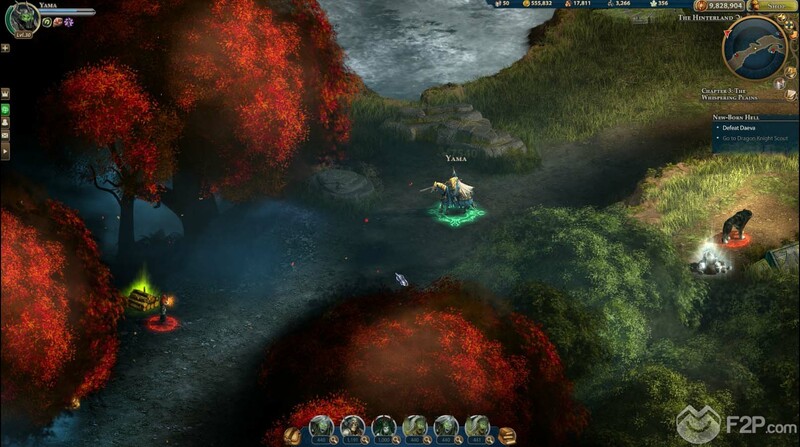 Each Hero has their own abilities and combat styles, though primarily players will rely most of the time on their actual troops within their army to do the majority of the fighting. With a minimal amount of character customisation where we could choose between male or female characters, three different portraits and three different colours for our robes we headed into the game. The scene opens up during an attack on what appears to be a Haven stronghold, at the front a huge Griffen Guardian blocks a gate and we are forced to fight him, getting our first taste of battle and gently walked through the process. 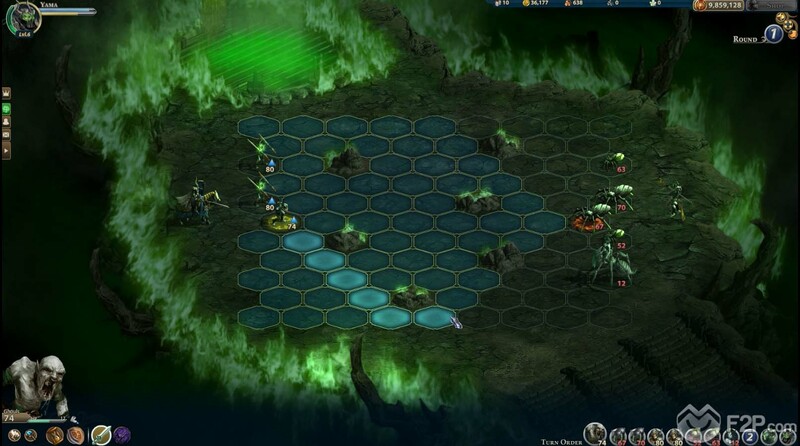 During combat and instanced based map loads up made up of different hexes with a variety of terrain features that add to the tactical element of combat as players manoeuvre around them blocking line of sight for attacks and outmanoeuvring enemy troops to gain flanking and backstab advantages. The troops all have a random initiative order assigned that determines what order they will be able to perform any actions during the fight, not simply the two sides take it in turns is possible for either side to have multiple troops perform before their rival. 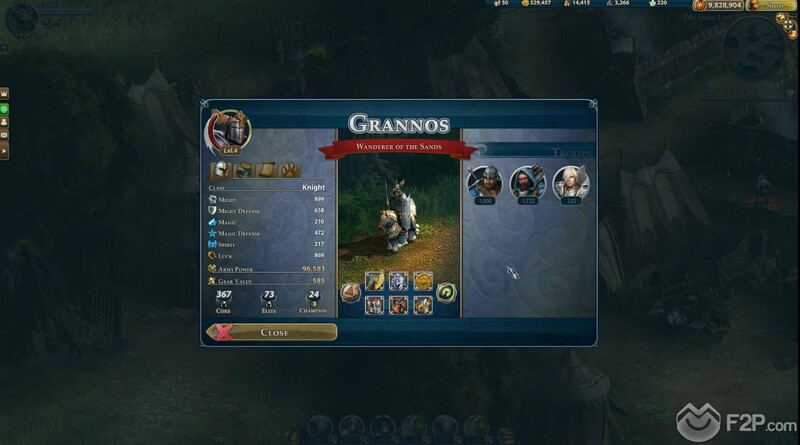 From the sideline players have Heroes, able to perform special abilities and attack each turn the troops on the battlefield or buff their own units. Battle continues until one side has lost all this units and is unable to continue, upon victory players gain XP as well as other rewards from time to time such as in game currency or the Seals premium currency. 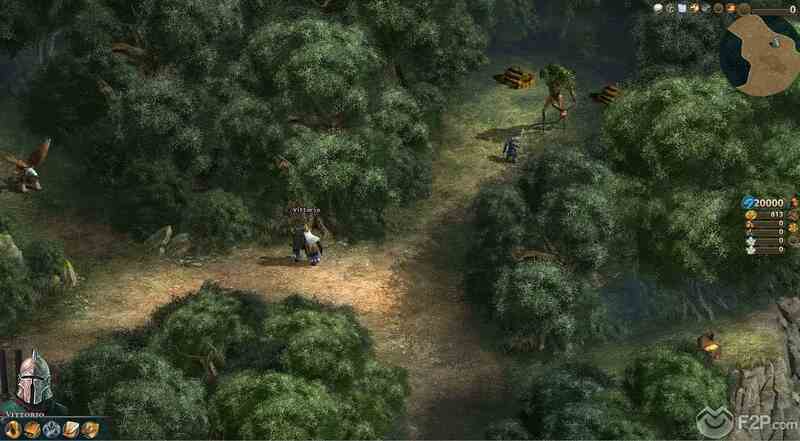 Entering the main portion of the game where other players were running around we picked up our first quest, whilst movement around the world is similar to that of a classic top-down isometric RPG that battles all take place in instanced based areas, though players are able to group together in parties and combined their forces to take down enemies. The earliest quest that we got was to settle our own town, though not something that will visually be seen in the world players have their own menu where they can construct various buildings to bolster and improve their forces. As the Necropolis, a faction that focuses on controlling the undead, the first building we were tasked with constructing was a Graveyard so that we could begin to you acquire a healthy income of Skeleton troops that would make up the bulk of our forces. Whilst combat in these early levels was obviously easy it was still obvious to see how tactical and strategic the game would become further down the line with the introduction of more improved troops and the option of going head-to-head against other players. 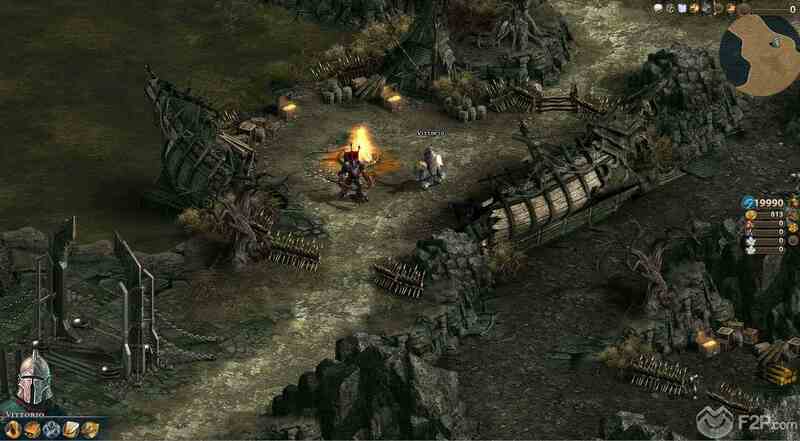 The sound and graphics quality were decent enough, definitely dynamic and atmospheric enough to set the tone of the game, unfortunately there was some lag issues even though they didn’t appear to be that many players around those early on, though as the game operates on a turn-based instanced combat this slight life shouldn’t be too much of an issue. Next week we'll publish a first look video, so stay tuned. Meanwhile, click on the "info" button below if you want to know more about this game.